Posted on January 5, 2018 at 10:41 am. The ban on remotely-operated online casino sites and poker services in Uruguay and additional taxation on all state-approved gambling activities is now in full effect as of 1 January, 2018. The Uruguayan government has followed through on their promise to prohibit offshore online gambling sites from operating in the country, while introducing a 0.75% tax on any state-licensed land-based gambling operations. The push is to prevent both domestic and international online casino and poker sites from providing their services to Uruguayan customers without the state’s approval, though as of now it does not include sports betting. For any Uruguayan resident who wishes to gamble in 2018, the only option they have now is the state approved lottery operator, National Directorate of Lotteries and Quinielas, which will continue to be the sole entity allowed to provide online lottery games and sports betting services in Uruguay following the new laws. The lottery operator will also be subject to the tax on their betting and gaming turnover. 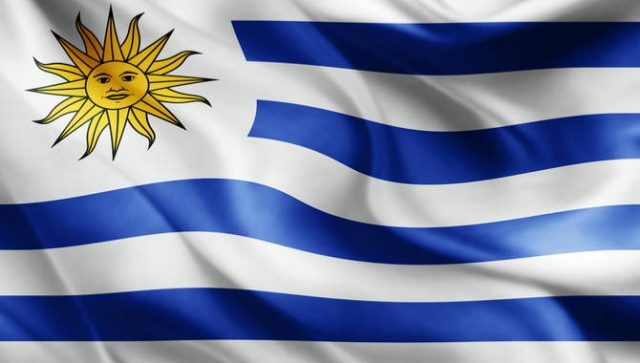 In September last year, Uruguay officially passed the laws that would effectively ban offshore online gambling sites from operating in the country and introduce additional taxes on any state-licensed and approved gambling operations. The Uruguayan Senate voted 30-6 in favour of the revised gaming provisions and was signed into law by Uruguyan President Tabaré Vázquez. Law 19.535’s Article 244 classifies “casino games such as poker, roulette, slots” as the gambling products restricted from being offered to Uruguayan online casino players by unlicensed foreign casino sites, and Article 245 grants the state the power to block access to said sites via ISP bans. The Uruguyan government can also block any advertising, sponsorship or commercial communications of any unauthorised gambling service, and gambling-related transactions made at offshore casino sites will most likely be restricted, leaving local players with limited options. The new gambling regulatory framework is not the first time the country has tried to get the massive online gambling market under control, with two previous attempts in 2005 and 2013 that failed. Uruguay’s new hard-line stance on online gambling is the complete opposite of Columbia, another Latin American country which recently passed laws with major gambling reform in mind. Last year, Columbia became the first country in South America to regulate online gambling, handing out its first license to the online sportsbook Wplay.co and blocking access to over 300 unlicensed online gambling sites such as PokerStars and William Hill to enforce its newly regulated market. Major international gambling services are expected to apply for licensing in Columbia, though their ability to do the same in Uruguay is effectively null for now. Where can Uruguayans play online casino games for real money? 2018 looks like a tough year for real money casino players living in Uruguay, and the new legislation is very clear-cut on the complete ban of unlicensed, offshore online casino sites from servicing local customers. However, it is important to note that so far, it is the operators and not the players who are targeted and punished by the new laws. If you choose to continue to play at international online casino sites and live in Uruguay, you do so at your own risk understanding the new prohibitions on remote online gambling sites. Read our Uruguay online casino sites guide for more information.